Pakistan drew level in their series with South Africa at the Wanderers, inflicting the hosts’ first ever PinkDay defeat as they dominated with bat and ball. 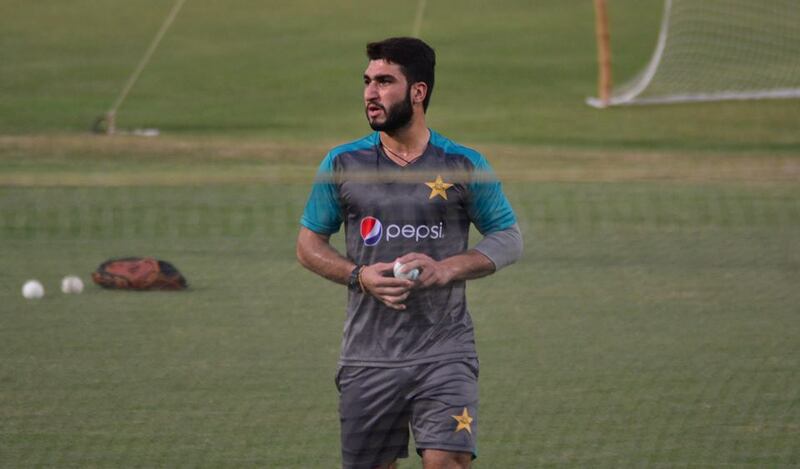 Usman Shinwari inflicted most of the damage this morning, starting with 4 for 35 to bowl South Africa out for 164. 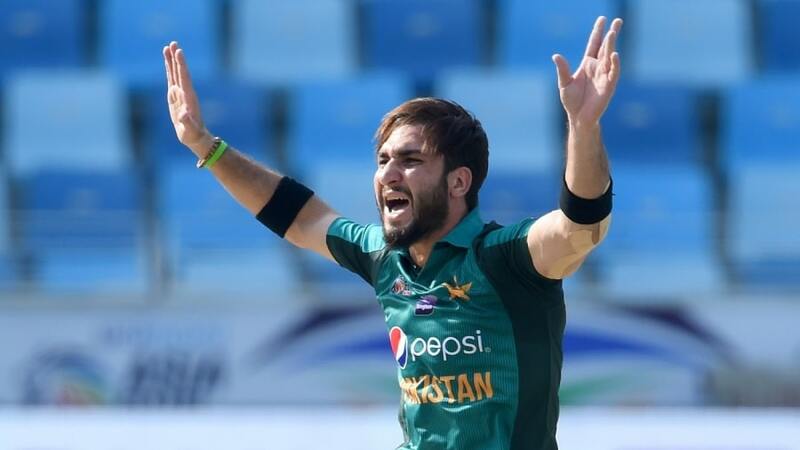 Imam-ul-Haq then continued his good form with 71 to go with his century in the last match, adding 94 with Babar Azam to guide Pakistan to an eight-wicket victory with more than 18 overs to spare. On a surprisingly helpful pitch, Imam didn’t have it all his way and had to endure probing spells from Dale Steyn and Kagiso Rabada, with Steyn beating his outside edge several times. But the vital breakthrough never came, and eventually, the misses turned into hits for both Imam and Fakhar Zaman, who cracked seven boundaries in a run-a-ball 44 – his highest score of the tour so far. Imam contributed just three boundaries to an opening stand that ran to 70 before Fakhar slogged Imran Tahir to Rassie van der Dussen at deep midwicket, Tahir lightening the occasion by dialing Tabraiz Shamsi – on the bench for this game – with Shamsi’s own shoe-phone celebration. Shamsi removed his own shoe in the dugout to receive the call at the other end. The celebration was soaked up by a capacity pink-clad crowd, but that was as good as it got for South Africa, as thereafter Imam settled in and struck three more boundaries to raise his fifth fifty – and second against South Africa – in the 24th over. By then, Pakistan’s target was under fifty and Imam and Babar steadily chipped away it. Babar pulled Reeza Hendricks’ off-spin through square leg for four to raise the fifty stand, and after raising his fifty, Imam stepped down the track to shovel Tahir over long-off for the first six of the innings. A dab to the third man brought the teams level, but with the job all but done Imam swiped at Phehlukwayo to be caught behind for 71. Mohammad Rizwan needed just one ball to secure the win, tapping the first he faced through the covers for four to complete the chase. South Africa had a collapse of 8 for 45 to blame for their paltry total. They had looked like getting a lot more when Hashim Amla and Faf du Plessis added 101 for the third wicket, but the lower middle order crumbled to spin and pace alike as stand-in captain Shoaib Malik marshaled his troops efficiently. Ahmed is returning immediately to Pakistan after being suspended for four games by the ICC for making racist remarks about the Proteas’ Andile Phehlukwayo during last week’s ODI in Durban. Stand-in skipper Shoaib Malik handled his bowlers and fielders astutely and South Africa was kept under pressure almost from the time Malik won the toss and sent them in onto a Wanderers Stadium pitch which had early life. But Malik’s use of spinners Imad Wasim and Shadab Khan kept the scoring rate in check and both batsmen fell to the slow men before the fast bowlers returned. Kagiso Rabada was caught behind the first ball and Beuran Hendricks survived an appeal for leg before wicket with what Shinwari hoped was the hat-trick ball. The ball was crashing into the stumps but Shinwari acknowledged that umpire Bongani Jele had made the right decision because there was a faint inside edge. It was Shoaib rather than Sarfraz Ahmed who strode to the middle for the toss ahead of the play, with the news that Sarfraz had copped a four-match suspension for his racist comment to Andile Phehlukwayo in the Durban ODI. 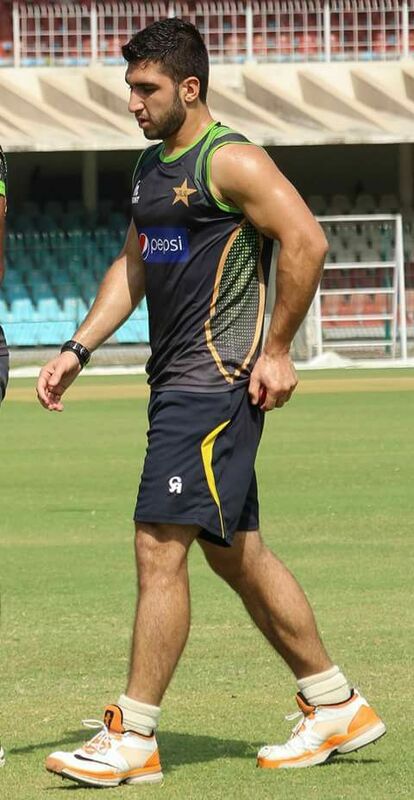 Shoaib decided to bowl first after winning the toss, with Shaheen Shah Afridi making the early incisions before the spinners regained control of the middle overs despite Amla and du Plessis’ efforts and Shinwari then celebrated his return to the playing XI with three wickets in an over to hasten South Africa’s demise. The hosts had been cautiously rebuilding through Phehlukwayo and Rassie van der Dussen’s partnership, but any hopes of a repeat of their century stand in Durban were dashed when Shinwari returned for his third spell of the game and quickly cut through South Africa’s lower- middle order. Van der Dussen was first to go, feathering a slash at one that left him off the seam, and Steyn then lasted all of two deliveries before he was undone by a searing inswinger close to the blockhole. When Rabada was caught in two minds as to whether to play or leave and edged his first ball to Mohammad Rizwan, filling in behind the stumps, Shinwari was on a hat-trick. Beuran Hendricks survived the hat-trick delivery thanks to the thinnest of inside edges onto his pads, but Shinwari had Phehlukwayo caught at slip in his next over and when Tahir slogged Shadab Khan to Imad Wasim at long-on South Africa were out nine short of their full fifty overs. A Wanderers track that was perhaps a little drier than expected played its part, with the spinners finding appreciable grip and Shinwari gaining a hint of reverse-swing in his late spell. Pakistan had needed something special to claw their way back into the match when du Plessis and Amla were at the crease. They came together after Afridi had trapped Quinton de Kock in front of his stumps and then strangled Reeza Hendricks down the leg side in his opening burst. The pair saw the shine off the ball and absorbed pressure and continued to build when the field spread, going to fifty within three overs of each other after the 100 came up in the 23rd over. Du Plessis took on Shadab to reach his milestone with a slog-sweep but perished in the same over as the legspinner won the battle, drawing a top edge to a perfectly placed Mohammad Hafeez at deep midwicket. Imad bowled with asphyxiating control to hold the batsmen to 36 off his 10 overs and was also rewarded with the wicket of Amla, undone by drift and bowled through the gate for 59. When Mohammad Amir got rid of David Miller cheaply, South Africa was back under serious pressure. Three quick boundaries from van der Dussen and Phehlukwayo threatened a fightback, but Shinwari’s reintroduction brought the innings to a swift end and set up a simple chase to square the series. This was South Africa’s first ever defeat in a PinkDay match, and Pakistan’s first ever win over them in an ODI at the Wanderers. Adding to the colorful occasion – the pink attire being part of a campaign to raise funds and awareness for breast cancer – over R1million was also raised for the Charlotte Maxeke Breast Cancer Care Unit on the day. Shinwari had Phehlukwayo caught at slip off the first ball of his next over before Shadab Usman Shinwari Khan had last batsman Imran Tahir caught in the deep. Next articlePatralekhaa All Set To Make Her Kannada Debut Opposite Ganesh In Where Is My Kannadaka?